Mi2N.com - Sonz Of Thunder UK Champion A Message Of Unity On New Single "London City Anthem"
Sonz Of Thunder UK Champion A Message Of Unity On New Single "London City Anthem"
A message of solidarity and unity, this track and it's creators choose to take a view of their city which is inclusive and optimistic. Like so much of the best Reggae and Dancehall music, "London City Anthem" was inspired by challenging times. Written in response to the recent terror attacks at the London Bridge and Finsbury Park, "London City Anthem" is a song born of darkness which encourages audiences to reach for the light. Natives of Northwestern London, brothers Shane and Dean Brown are inspired to create socially conscious music which moves bodies and generates thoughtful dialogue around important themes guiding our modern society. Choosing Reggae, Dancehall, Hip-Hop, RnB and Gospel as their creative tools, the brothers create music which inspires hearts and minds to see the opportunity in the world around them. The musical production and video treatment for their track "Mandela" is considered a creative high point for the group. From the unique sound effects to the uplifting messages of unity and solidarity, "Mandela" is a vibrant musical celebration of the life of one of the most heroic individuals of all times. Nelson Mandela left an enduring legacy of freedom and opportunity on our world and the Sonz of Thunder UK have been able to champion this history and distill it into rhythmic dancehall inspired package. Released on New River Sound Music, "London City Anthem" is a pulsing tribute to one of the world's most important cities. Building on past successes such as "Mandela" and "More to Life", "London City Anthem" promises a bright future for Sonz of UK Thunder and the city they love so much. 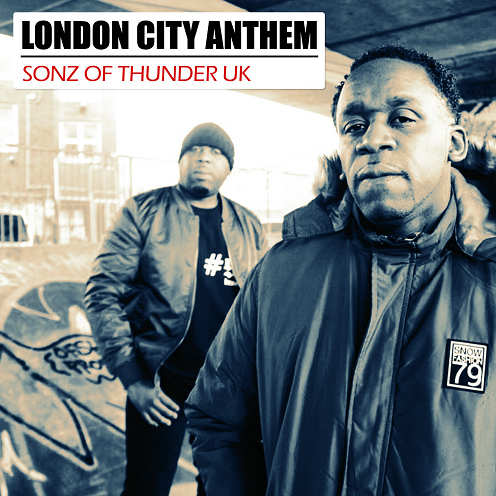 Be sure to check out timely lyrics and bouncing island vibes of Sonz of Thunder UK's new single "London City Anthem"!